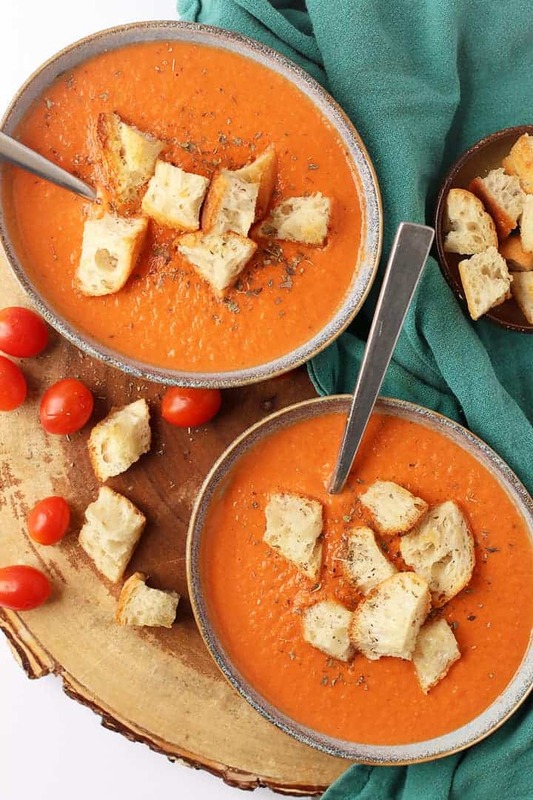 Warm up with this rich and creamy vegan tomato soup. A thick tomato base mixed with cashew cream and topped with homemade croutons for a satisfying fall soup. Made in under 20 minutes! What? WHAT?! Is September seriously almost over? But what a great month it was! Later this week I will be recapping September’s highlights by bringing together some of the top recipes of the month as well as sharing a few of the products I’m totally loving right now. You’ll have to come back on Friday to check it out! This tomato soup is my go-to fall soup. It is thick and rich and creamy and comforting and warm and nostalgic and everything you want in a vegan soup. Wanna see for yourself? Let’s dig in! 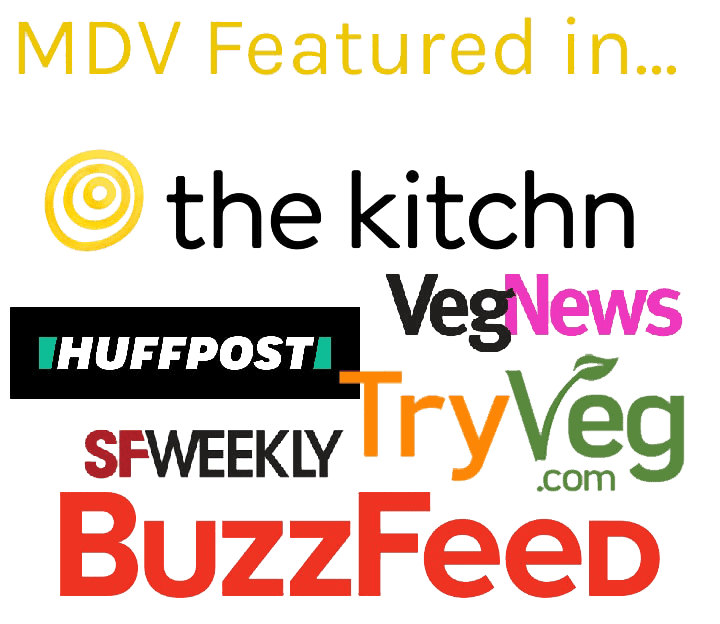 The ingredients for this vegan tomato soup are simple. That’s it! I’m willing to bet you probably have most of these ingredients on hand. 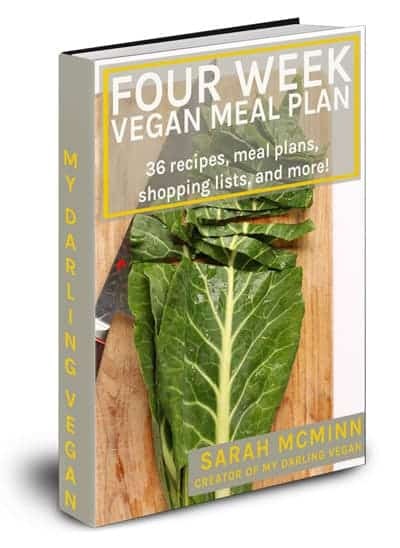 Well, except the secret ingredient that makes this soup rich and creamy while keeping it vegan and soy-free. 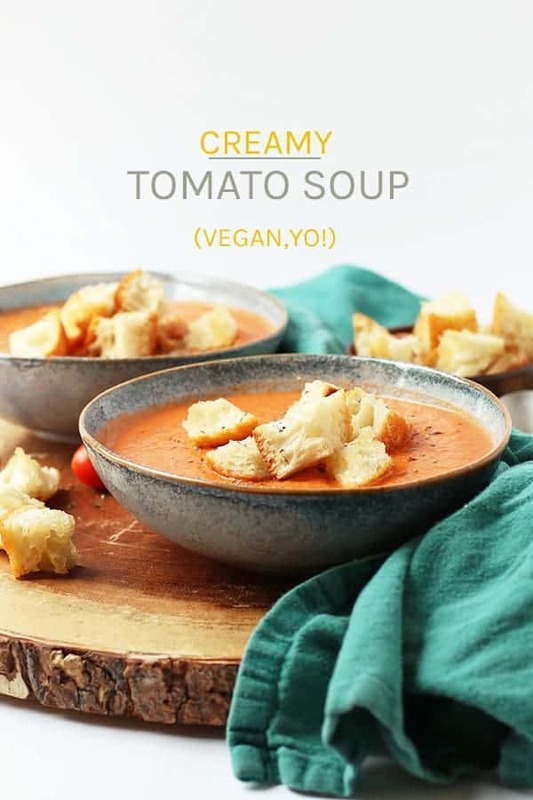 What makes this vegan tomato soup so creamy? I’m glad you asked! Most creamy tomato soups are made with heavy cream. I considered going the soy creamer route but I decided I wanted to keep this soup soy free. Then I thought about adding coconut milk but coconut milk has a distinct flavor. So what adds richness and creaminess without changing the flavor? I got the idea from this Creamy Pumpkin Curry Soup recipe. Not only is cashew cream rich, creamy, and delicious. It can be made with just 3 ingredients (cashews, lemon juice, and salt + water) and in less than 2 minutes! Making this soup is incredibly easy! It’s a simple 4-step process. Begin by making the cashew cream. When it comes to cashew cream, you really should use a high-powered blender. I recommend a Vitamix, which is what I use. 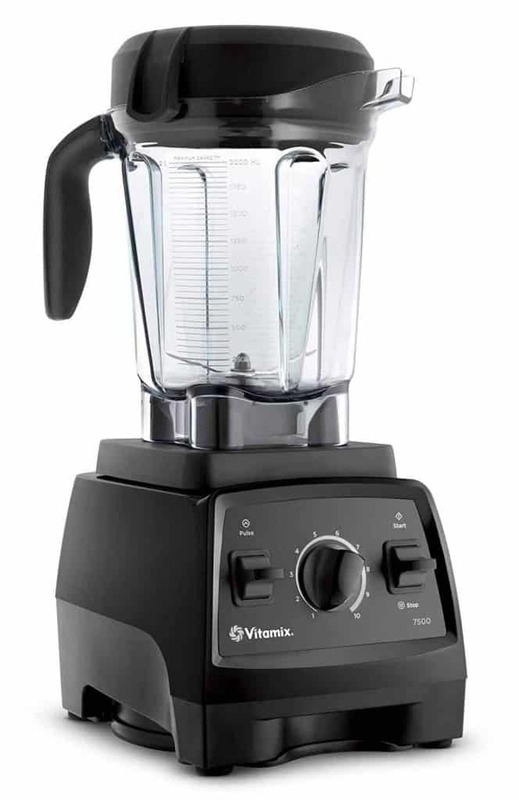 These blenders can be pricy, but my Vitamix is, by far, the most used gadget in my kitchen. Most other blenders are simply not powerful enough to create a cream out of cashews and you’ll end up with gritty cashew cream. However, if you don’t have a high-powered blender, you can soak the cashews for about 6 hours ahead of time and they will blend up fairly well. With a Vitamix, you can just throw your ingredients into the blender and blend for about 30 seconds until you have a smooth, delicious cream. So easy! This cashew cream can be used immediately or stored in your refrigerator for up to 5 days. Can this soup be made without cashew cream? I do love cashew cream for this soup but if you don’t have a Vita-mix or access to raw cashews, the creaminess of this soup can be substituted with unsweetened non-dairy milk or non-dairy creamer. I reccommend cashew or soy as they then to be thicker and have less flavor. In a medium soup pot, heat up oil over medium heat. Add onions and garlic and sauté, stirring frequently, for 5 minutes until onions are translucent and fragrant. Add the tomatoes in their juices, vegetable broth, cashew cream, sugar, and spices. You certainly don’t need croutons for this recipe but they do add a lovely flavor and crunch! 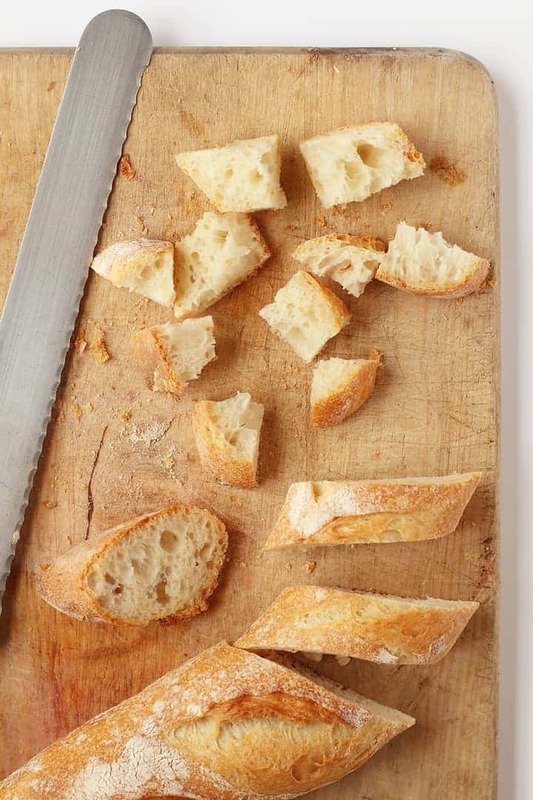 These croutons are made with a rustic baguette that is chopped into 1″ pieces and tossed in olive oil and salt. They are then baked at a high temperature until the croutons are golden and crunchy. This recipe calls for 1 1/2 cup of croutons. 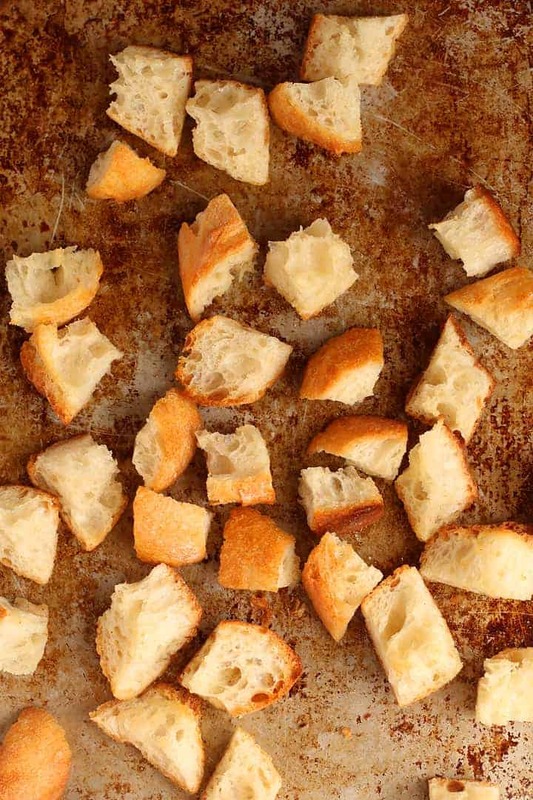 However, why not just turn your whole loaf into homemade croutons? If you do that and want to store them, they should cool completely before putting them in an airtight container. Keep them at room temperature and they will stay crunchy for 4-5 days. Pour your soup into a blender (you may need to do this in batches) and blend until your soup is completely smooth. Alternately, you could blend your soup with an immersion blender. While this doesn’t blend quite as smooth, it is far cleaner. This soup can be eaten immediately once it’s ready. 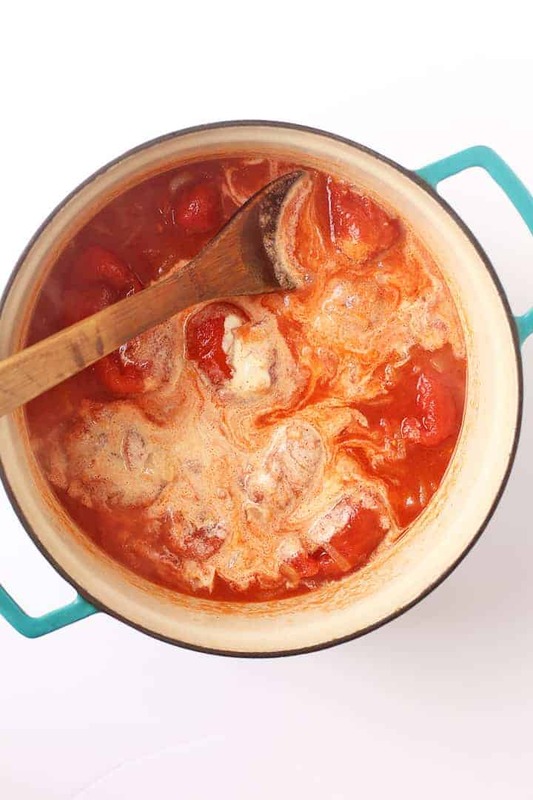 Because the tomatoes are already cooked, it just takes about 10 minutes to heat all the way through. Serve it with a big salad or a hearty sandwich. Leftover soup can be stored in the refrigerator for up to 5 days or in the freezer for up to 1 month. To serve frozen soup, let it thaw overnight in the refrigerator. Once it’s mostly thawed, gently reheat the soup in a small soup pot. Now, let’s take a look at the recipe card below. 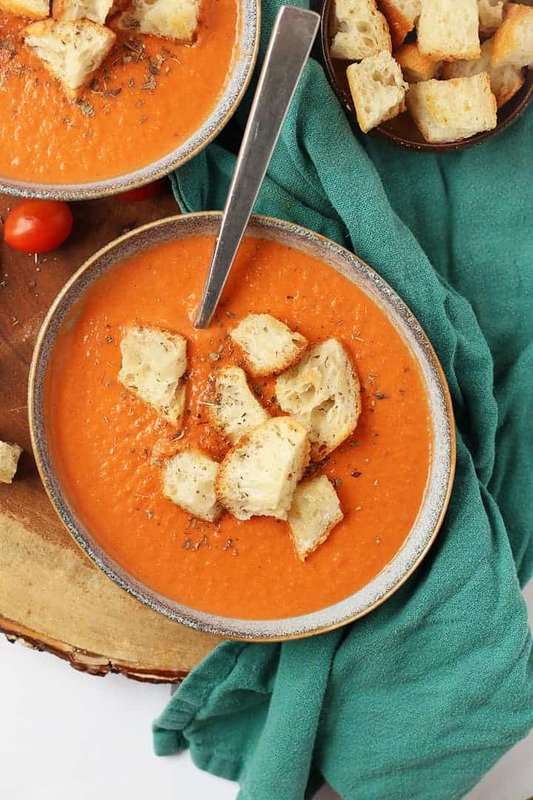 Warm up with this rich and creamy vegan tomato soup. A thick tomato base mixed with cashew cream for a satisfying fall soup. Made in 20 minutes. Begin by making the cashew cream. In a high-powered blender, such as a Vitamix, combine all the ingredients for the cashew cream, placing the water at the bottom. Blend on high until completely smooth. Set aside. In a medium soup pot, heat up 2 tablespoons of oil over medium heat. Add onions and garlic and sauté, stirring frequently, for 5 minutes until onions are translucent and fragrant. Add tomatoes in their juices, vegetable broth, cashew cream, sugar, and spices. With the back of a wooden spoon, break down the tomatoes as best as you can. Bring to a boil and simmer for 10 minutes. Remove from heat. While soup is simmering, place the cubed bread in a big bowl with 1 tablespoon of olive oil and salt, tossing to combine. 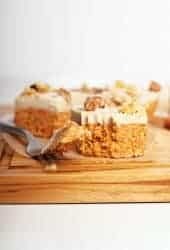 Spread the bread in a single layer onto prepared baking sheets. Bake for 10 minutes until golden and crispy. Pour your soup into a blender (you may need to do this in batches) and blend until your soup is completely smooth. 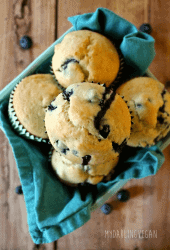 Enjoy immediately or store in an airtight container and gently reheat before serving. Serve with homemade croutons. 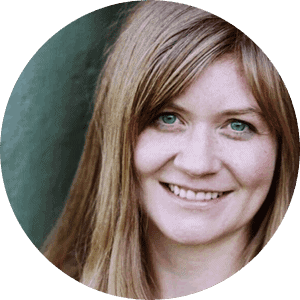 Don't want to make cashew cream? 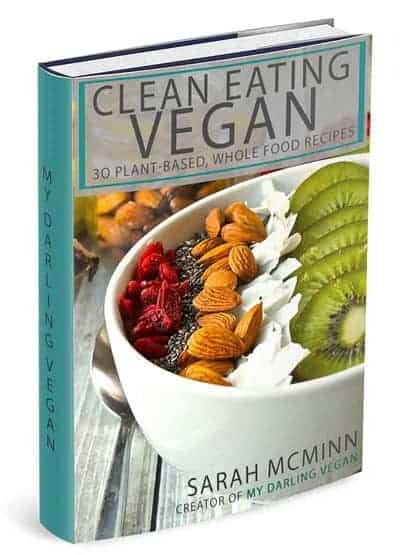 You can substitute canned coconut milk! This soup is YUMMY!! 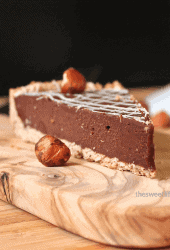 You would never guess it’s dairy-free because it’s so rich and flavorful. One thing I deleted was the sugar – doesn’t need it. Can’t wait to make it again – probably tonight!! !